6 years has gone by in a haze of nappies, pull-ups, school uniforms and now nappies again. Quite why the arrival of child number two in October signified the right time to return to training is anyone’s guess. It’s not like either Ironman training or having a 5 month old baby and a 5 year old boy leave any time free, but, it just sort of feels like the right time. Everything is a lot more settled than it has been for a long time and fitting in training, work and spending time with the family is just a matter of scheduling (ha!) so here we are. It’s not like I’ve been totally sedentary in the last few years, but there’s been no real formal training since the kidney infection and withdrawal from IMUK 2012. There is no real goal at the moment, well, that’s not entirely true, but there’s nothing official. I will be having a little blast up Mont Venoux in the summer and the unofficial goal is IM Wales in September, but I need to get back into some sort of decent form in the next 3 months before I actually commit to anything. I’ve wasted enough money on DNS to be very cautious about parting with cash for events. I think with what I know now about diet, training and recovery (although I’ve not been doing a great deal of actual activity I have been reading a hell of a lot) I’m in with a good chance of getting to the end of May without too many injuries. My training plan for the next 3 months is basically a rerun of 2012’s early season training, but without a coach and with extra kickboxing thrown in on a Monday and Wednesday. I’ll build up to make these double training days with a run in the morning and kickboxing in the evening, but for the time being they’ll be just kickboxing. I’ll run Tuesday, Friday, Sunday and bike Thursday (turbo) and Saturday. I feel like there’s something I’ve forgotten though…. I’m sure it will come to me. My training plan is organised in Training Peaks and using their Annual Training Plan (ATP) thingy. I can work out volume and also it tells me the periodisation I need (I’ll write more about this when I figure it all out). I’ll also write some more about diet and nutrition soon, it’s going to play a massive role in how I perform and shed my excess body fat over the next few months. …Ah! Swimming…. that’s what I forgot. I will have to fit that in somewhere I suppose. Figure out details as we go. I hope to have things a bit more organised soon, but for now it’s just about getting back into the routine and mindset of training. Bolton was booked partly on the wave of euphoria after successfully completing Wimbleball in 2011 and partly in the knowledge that there would be a screaming bundle of baby hampering any plans I had to train after this year. 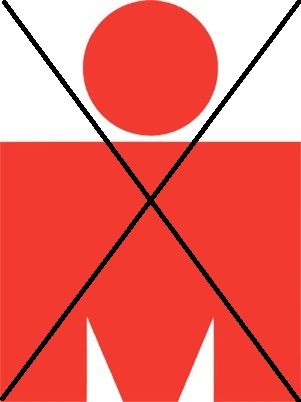 Now that IMUK has been taken away I am going to take my time and not eneter any races at this distance for a few years. There are 2 main reasons for this; the aforementioned baby is going to be the most important thing for me and I don’t want to commit the time needed for Ironman at the expense of my family. Secondly I have time to get fit, really fit, from couch potato to Ironman in 21 months was achievable, but it would not have been comfortable – a long hard day at the metaphorical office. Now I have the time I can build a firm base of fitness from which to try again. 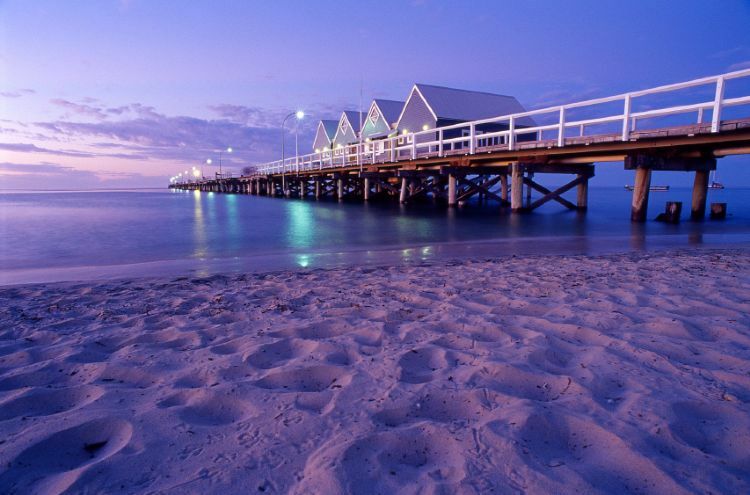 I have my eyes set on Ironman Western Australia at the end of 2015 or 2016 – that is open for discussion with Russ at the moment. Seeing as I can take my time I may as well do this in style and combine it with a trip down under. Short Distance Tri’s – Fun, fast. Swimming Race – I don’t want to do this, I hate swimming, but if I want to be good, I must! Long term – This one’s up in the air at the moment. I plan on staying fit my whole life so perhaps I don’t need to figure this out just yet. So I have the start, then end and a few bits in the middle, I still need to do a but of work, but I hope to develop this plan with Russ and my family over the next few months, I have the luxury of time so I want to make sure I get this right. I should be running through my kit list, checking, re checking, packing and re packing everything ready for IMUK this weekend, but instead I am looking forward to heading up to Yorkshire on Saturday with the family and being on the other side of the fence as a spectator on Sunday. When I started feeling a bit odd on tuesday night 2 weeks ago I thought I might have a cold or something minor. When I woke up on the Wednesday I knew there was something slightly more serious wrong. By the time I went to the Drs I was pretty out of it so I didn’t really think too hard about what was going on, just that it hurt, a lot. By the time I got to the hospital and they’d started dosing me up on painkillers and antibiotics I was beginning to wonder whether I’d make the start line for IMUK. When they told me I’d be staying in for a couple of days I sort of knew I’d not make it, but I was hoping for some kind of miraculous recovery. It wasn’t until my 3rd night in hospital that it really dawned on me that I was going to have to withdraw. In the end it wasn’t a hard decision to make. My body was fighting a pretty full on kidney infection, I was going to be on antibiotics for 3 weeks and putting myself through an Ironman could not possibly make my recovery any better. With a baby due in 3 months staying in the race would have been both stupid and selfish. Nearly 3 weeks later and it was definitely the right decision. although I feel better, I still don’t feel 100%. The antibiotics are pretty strong and the symptoms of the infection are only now totally gone. Jumping into a 13Degrees Celsius lake at 6am Sunday would have been a mistake. There is of course a deep sense of disappointment that I won’t have the chance to get that medal round my neck on Sunday night, but there are more important things in life and I will be back fitter, faster and stronger next time. Swim – Try not to drown, try to swim in a straight line. Bike – No solid food, 12 gels in a bottle mixed with water, ride on feel mostly keeping an eye on the Garmin, spin up the hills and get down and as aero as possible on the flats and downs. Run – No walking except for the hill at the back of the campsite and feed stations, run on feel, keep form and technique correct. I listened carefully for the wind when I woke up on Sunday morning at 4.30am and heard the tent flapping gently in the breeze, no rain beating down on the canvas just the faint sound of Rob making my breakfast. Another incredible turnaround by the Great British Weather. Race time 7:17:36 a 47.29 improvement over last year! On Tuesday I felt a bit deflated and like I didn’t want to race at IMUK, but some encouraging words from the coach and I’m back focussed on it. I decided to put less pressure on myself and now is not the time to go back on that. I have worries about IMUK, being mentally prepaared for the run, cramp in the swim, nutrition, but all this is natural. I have great support around me from Russ for the technical stuff and my family and friends for moral support. I know no one cares how long it takes me to complete the course and I don’t (as much) anymore, but I am well equipped to do it now, and confident that I can achieve it. I said after Wimbleball last year that there had been a “paradigm shift” in me, and after a gluttonous off-season I was worried that I’d misjudged it, that I was the same old person I always was. The truth lies somewhere in the middle I think and this quest for balance has taught me a lot, I am never going to have the discipline of a top professional, but I don’t need to, I do this for fun! so I am going to extend this journey out a bit, I don’t need to achieve everything now. A 47.29minute PB and an Ironman finishers medal should be enough for this year. I can’t make any promises for next year though, with a baby on the way I said I’d take it easy, but there’s already talk of another trip to Wimbleball in June with Gary and Rob, and I’m running the Brighton Marathon and I got an email through about holidays the Alps the other day…. Set off for the lake at around 6.30am, I was going to leave earlier, but I didn’t want to get out of bed and I thought it was better to save my energy for Sunday. After a smooth journey down I arrived to find my tent already put up which I was pretty pleased about. Gary, Rob and I got registered and headed out for a run. I’d forgotten how stupid the big hill out the back of the campsite is and running up it had me worried for Sunday so I decided not to. I would allow myself to walk up that hill as the benefits of running up it would have been far outweighed by the repercussions later on in the run. After the run we went down to swim practice and promptly turned around as the swim was between 2 pontoons approximately 5m long with 20m between them. Woke up to rain which was to be a bit of a theme for the next 24 hours, swim practice part 2 was at 9am so we headed down to the lake hoping for a better situation than Saturday. The area available was much bigger, but so were the choppy little waves all over the surface of the lake with 17mph winds blowing across the surface. I really hated that swim practice. Swimming, and more specifically confidence in the water has never been a strong suit of mine and the choppiness of the water and the 14Deg temperature really put me in a bad frame of mind for race day. After that I went back to the tent to lay in my sleeping bag for a bit, warm up and pack my transition bags listening to the wind and rain. We headed over to check everything in via the bike repair stand in our rain jackets as the gears were giving me some problems over shifting going up to the big cog. The mechanics were really helpful and fixed me up in about 10 minutes. The rest of the day was spent laying down in the tent reading and listening to the rain and wind as last year I spent all day wandering around on my feet and felt really tired for it. The race briefing at 4pm was late because there were lots of families in the briefing tent and other athletes could not get in. I was a little disappointed when all the people I had been mentally sizing up because they looked less fit than me were asked to leave and were replaced by another few hundred fit athletes who were much fitter than me. What I could hear of the briefing over the sound of the rain beating down on the tent was a bit style over substance this year, instead of having 3 people who really knew the course talking about it, they had the race announcer presenting it and he didn’t really know it well enough. After the briefing I ate some more, sat around for a bit and went to bed hoping the rain would have stopped by the morning and the wind die down. I had an epiphany last night, I would sit down if I were you, this might come as a shock. I am not a professional athlete. I know! It took me a little while to come to terms with it, but when I did I felt much better than I have done in quite a while. At the start of the year training was going very well, I was totally committed to the cause, losing weight, not drinking, eating absolutely perfectly until around the end of March when the concentration slipped a little, there were a few weekends here and there where I wasn’t as disciplined as I could have been. I really, really enjoyed them. I was still training hard and getting fitter, but I couldn’t shake off a feeling of guilt. Every time I’ve cracked open a can of beer or me and C have been out for dinner I have had a little voice in the back of my head berating me “This isn’t training” “Craig Alexander / Lance Armstrong / insert name here doesn’t drink beer” “You’re supposed to be losing weight, pizza isn’t Ironman food” I was lying in bed awake at night worrying because I’d committed to a certain weight / body composition / abstinence from alcohol and I wasn’t doing it. Getting out and training relieved the guilt a little, but with work and other things getting in the way of training and picking up a few little injuries meaning I am unable to train the guilt wouldn’t go away, it was becoming all consuming, the whole process was not fun. I didn’t want to do it anymore; no more training, no more dieting, no more Ironman I just wanted to quit. I hadn’t spoken out loud about it, the internal duologue with my guilty conscience was quite enough, but I talked to C about it yesterday and she reminded me that I am supposed to be doing this for fun, not to win anything, or beat anybody, just for me, but I had put all of these conditions on myself that were making me unhappy. This year I have lost a load of weight, I feel good about myself and I am fit enough to get round an Ironman, which is what I originally set out to do. I spend so much time reading about the Crowie’s and Macca’s in the sport and I’d started to put unnecessary pressures on myself to be like them. There’s nothing wrong with pressure, or wanting to emulate the top professionals, but I am a 31 year old man who fairly recently got his arse up off the settee to set out to do this. I’m not a professional athlete and I don’t need to beat myself up for not acting like one. It was less than 2 years ago I set out to do this and I’ve already achieved a lot that I’m happy with, I am getting better at running and cycling, I’ve got one Half Ironman under my belt and should have another one come Sunday. 5 weeks after that, providing nothing goes spectacularly wrong I should be standing in Bolton City centre with and Ironman finishers medal around my neck, and if I’m not for some reason, I’ll try again another time. I am committed to long distance triathlon, I love the training, I love the racing (when it’s over mostly!) I definitely have some more weight to lose, but my little epiphany made me realise I don’t have to do it now, I have plenty of time. The achievement of balance always seemed to evade me, it was either training, dieting and working hard or drinking and eating and doing nothing, but it doesn’t have to be like that! At the moment I (injury excepted) have balance: I can enjoy the training and enjoy the rest of life. If I’m not 65kg on race day and holding 30km/h on the bike then so what? It was only my arbitrary conditions that piled this unnecessary pressure on me anyway. That doesn’t mean I’ll train any less hard, it just means the pressure is off a little and I can enjoy pushing myself rather than feeling like I had to. Perhaps, given the time again I might not have gone straight to Ironman this year, I think trying to concentrate for 7 ½ months was, for me, too much to handle and this pressure has stemmed from attempting it. I’m looking forward to spending much more time on running over the winter and having a go at the Brighton Marathon in April 2013, I will certainly have a 16 week block of diet and abstinence leading up to that and hopefully get closer to my body composition goals, but if I don’t then I’ll try again and not stress too much about it. It really is all about balance, as long as the miles are ticking over and I’m enjoying then that’s what matters. As the West Ham song “I’m forever blowing bubbles” goes, Fortune’s always hiding, for me, it’s not so much fortune as consistency. I seem to be unable to string together 2 weeks at the moment, and less than 3 weeks from Wimbleball, it’s not ideal. Last week was a combination of work and a mild injury potentially caused by work. Off the back of a brilliant 106 mile bike on Sunday I managed to log 0 hours on Monday (Long day at work) a 45 minute run on Tuesday 0 on Wednesday and Thursday as I was out at other offices. So come friday my plan was to do a run and a bike session. 30 minutes into my run and a searing pain in my leg. Stopped. Stretched. Jogged home. Had a stretch and a roll and hoped for the best. Jumped on the turbo a bit later (not fun when it’s baking hot outside, but I just can’t replicate the intensity onthe streets of London) I lasted 12 minutes! Same pain, same side. I rested for the rest of the weekend, I wasn’t too annoyed about it as the pre wedding, wedding and resulting hangovers would have made it annoying anyway. Got Physio on Tuesday and I’m back! A total of 1hr 58m training completed out of a scheduled 15hr 38m is far from ideal, especially when compared with the previous weeks 14h 49m completed. I was really disappointed with it, but, I have put in the hours before now (although there have been some exceptions) and I do have some more weight to lose which is free speed really, so I’m not going to get down about it. looking forward to a ride this weekend and re-tapering down for Wimbleball – 2 weeks on Sunday! I’m hoping I can find some fortune down there.. Although this small corner of the internet doesn’t hold testament to it I have actually been doing a lot of training. With around 38 hours in March, 31 in April and 24 in May already (Bike and Run – Swim not included) I’m in pretty good shape, I thought I’d write more during the run up to race day so I can get out all of the thoughts that are keeping me awake at night! didn’t have time on Saturday. I am going to try and get it in this afternoon. I have had a weekend across all three disciplines which I am pretty pleased with. minute off my km pace, I know a lot of that is down to weight loss, but I’ve stalled recently and I am still seeing increases in pace, setting my fastest ever 10k this weekend and a painful 5k test set by Russell on Friday! It’s not brilliant, but an average speed of 2:05s/100m works for me. I’ve still got time to play with here and getting the practice in open water is, for me, really valuable. I am happy to swim for hours there, but I get angry at the pool within about 30 minutes! I know the pool is where we do technique and get faster and it’s important, but that doesn’t stop it being boring! Forgot that The Castle Ride is quite tough in places. Comparable climbing to Bolton although no SHL or anything like it really. I’ll caveat this by saying there were 4 stops on this ride so a bit different, but I definitely could have run after that ride yesterday. I do have some slightly concerning pains in my knee, but I think I can keep that under control with more foam rolling and I’m going to try and get fortnightly massages in until 2 weeks before the race – I think! I do need to work on nutrition, I was a bit stupid yesterday in deciding that I’d wait until the first feed stop to eat so I was struggling for a while. I will be ordering some PowerBar gels this week as that’s what they use on the Ironman courses. I’m sure they’ll be fine, I just want to check I am happy with them. It’s better for me to use the on course stuff so I don’t have to carry it all with me. On the whole a solid ride. I’m going to make my first prediction, not sure if it’s totally wise to do this, but I need a target to focus on. So with any luck I can be in the pub by 9.30pm! Diet is getting easier – the reduction in food from Christmas levels was making me a bit grumpy, but I’m getting the hang of it. Run done – still frustrating running for a minute and walking for a minute, but in the long run I will be a stronger, uninjured runner. Sleeping is easy now. Out like a light! repeat the same for side and roundhouse kicks. I think there were some burpees in there for not making the jumps / hops in an arbitrary number of goes that seemed to decrease the more tired I got. A mildly disappointing section of padwork, I am definitely coming on in some areas, but others need a lot of work. I struggle a bit more when I’ve had a big weekend on the bike and running, but that’s to be expected and for the time being triathlon has to take precedence. Post technique work there was an arms circuit which consisted of somewhere in the region of 100 bicep curls, I lost count and the will to live after a while. As always, loving the Kickboxing at the moment and I’m going to concentrate on it over the winter andwork towards some pretty new belts. Put down 800cals although I think that is an underestimate for 90mins work. Lunch – 3 slices Pizza! I was in a workshop all day. 1705 Calories – I think this is too little. I was trying to make up for Tuesday’s pizza. Swim: Shoulder still painful so went for a sports massage instead. Actually a much better way of spending an hour that staring at the black line on the bottom of the pool! Dinner – Coley fillets with Chorizo and Roasted Vegetables. Snack – Fruitus bar – gluten free fruit thingy, I’m trying out new fuels at the moment. This one did’t make the cut. Um… Chicken Shish Kebab and a few chips. Oops.